Practicing the Wide-Knee Child's Pose will increase the therapeutic effects of the traditional pose. We are all familiar with the Child's Pose, but in Yin Yoga we take it to a new level! The practice of Yin Yoga has a different focus and intent than the "fitness-based" yoga that pervades the West. 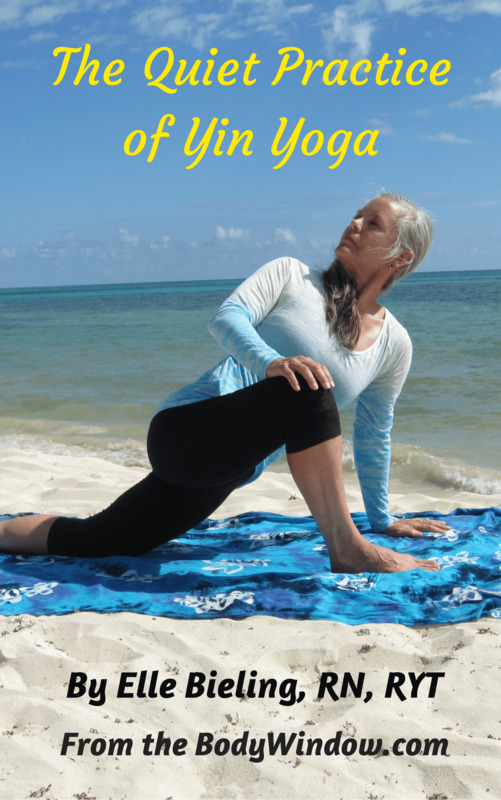 It is a more intuitive practice with long-held poses that help you truly see yourself as you are. As I like to say, it is allowing your body to become part of your soul's experience. It is the best way to deepen your yoga practice, that I know! I invite you today, to learn the yin yoga style of the Child's Pose, which is shown below. I have yet to meet a person who does not love the Child's Pose. It is more relaxing and restorative, than most other poses, especially if you hold it instead of using it merely as a jumping off point to another pose. In order to open your body farther, and do an even deeper, yin yoga style pose, begin the pose in the same manner as described above. Now, instead of keeping your knees together, spread them as wide apart as is comfortable for you. However, keep your big toes together. Please note that if you have a groin injury, back or hip problems, you will not be able to do this pose. Please, carefully check in with your body before doing this pose, and do NOT do anything in which your body feels unsafe! Arms make a cradle over your head with your hands resting on your elbows, not shown. Experiment with various arm positions to find one that serves your own needs. This need may indeed vary from day to day. Hold this pose for 3-5 minutes. The key concept of doing this pose in the Yin Yoga style, is that you are not extending and lengthening through your spine. Instead, release all your muscles, and allow your body to melt into the pose! This is very important as there is no forcing, striving or pushing in Yin Yoga! Only being present to just where you are in the moment!! The reason your body responds over time, without pushing or striving, is because it is your joints of your spinal vertebrae and hips that are now the areas that are opening! It is only through releasing your muscles, that you now allow for the possibility of more joint nourishment, mobility and fluidity! This is very, very therapeutic for your body, your mind and your soul! It will provide emotional release, and will "juice" your joints so that your aging process is slowed. What a fabulous body-mind effect, don't you think? 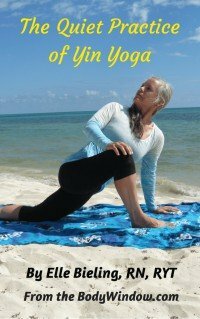 You can really learn about your body-mind connection with Yin Yoga if you practice it regularly. I promise! Opening your hips and back in the Child's Pose is working with 2nd Chakra energy. This area is a real storage house for emotions. Plus, you are nourishing your Liver meridian, whenever you pull the tissues of the groin and inner thigh. Always remember to do your conscious breathing, while you hold your Yin Yoga pose. When you send your breath to your area of need, the pose becomes even more therapeutic! To add yet another dimension, you may also do the Wide-Knee Child's Pose with a Twist! May you enjoy your practice of Yin Yoga poses, as much as I do! May the Child's Pose, taken with the wide knees, open your back, hips and groin and release and renew your 2nd Chakra energy to bring healing through your body-mind connection!